On Bob Dylan, genre snobbery, a man with a ferret on his head, and how to buck convention using a rocking horse instead of a bronco. Originally published by the Young Art Journalism Awards here. Little appears more aggrieved than someone from the ‘writer’ camp taking to their decidedly non-musical keyboard and discussing Bob Dylan’s recent win of the 2016 Nobel Prize in Literature. Yet I am not personally opposed to Dylan as a songwriter. Listening to Subterranean Homesick Blues earlier today, I felt a new surge of appreciation for the line “Twenty years of schooling and they put you on the day shift”. I’m not opposed to him being considered a writer, and I’m no puritan when it comes to traditional definitions of literature either. Indeed, the questions surrounding Dylan’s win are ultimately far less about Dylan himself, and more about those who sit in the shadows beyond his limelight. Yet the blurring of boundaries between art forms – such as lyric-writing, poetry, and literature – is both a natural consequence of the forms’ interconnections, and a means of further art being created. As a result, to perceive songwriting as being able to fall into the Nobel Prize’s Literature category is not such a stretch: former prize-winners already include 1913’s Rabindranath Tagore, for example, who contributed to the Bengali Renaissance in written, musical, and visual art fields. Nevertheless, it’s understandable that some authors are disgruntled. Dylan is primarily known as a musician, and even after his Nobel win, few would argue that his artistic achievements have closer ties to literature than to music. It is perhaps this fact, therefore, which most inspires rancour: while countless authors struggle to have their contributions to literature recognised, Dylan is awarded the world’s best-paying literary prize despite never having been an invested contributor. Granted, the Nobel Prize committee has generated a discussion over what can be considered literature – but it has also sidelined a vast community of authors who have been slogging away in the field, and advancing it, for decades. Whatever one’s stance on lyrics as poetry, however, there are definite positives which can be drawn from this challenge to common definitions of literature. For example, having more diverse forms of writing recognised by the Nobel Prize committee could lead to graphic novels being seen as eligible for the Literature award. This would not necessarily be a perversion of tradition; rather, it would be a development which reflects changing art forms in a modern world. Why not give the graphic novel a chance to shine? It’s unlikely to qualify for Chemistry, Physics, Peace, Physiology, or Medicine, after all. Besides, in what concerns Dylan’s Nobel Prize, the ‘category mistake’ debate is ultimately a subjective matter and consequently difficult to resolve. It is also far from being the biggest issue at hand. Indeed, by selecting Dylan, the Nobel committee arguably acted primarily in their own interests. They don’t want to be perceived as stuffy and elitist: they are hip! And relevant! (And nostalgic). No-one can joke this time about how the prize-winner for Literature is a total unknown, or regurgitate the line about needing to be an Estonian poet in order to win. Everyone has heard of Bob Dylan. Moreover, most people like Bob Dylan. Yet to a certain degree, Dylan being so widely admired is precisely the problem with him winning. It’s not surprising that the Nobel Prize committee wants to boost its own image by aligning itself with an enormously popular figure. It is frustrating, however, to see this strategic choice hailed as ground-breaking and audacious – for in further recognising someone who is already internationally popular and who has been for decades, the committee chose to buck convention in the safest way possible. It’s a decision framed as ‘cool’, and even self-deprecating, because Dylan has strong anti-establishment origins and messages; indeed, to award Dylan the prize would have been enormously radical 50 years ago. Yet there is nothing particularly radical about lauding an individual already deified by half the planet. Another feather-ruffling issue is that of privilege. Bob Dylan is a white man, and his success is at least partially owed to his reputation growing alongside counterculture and the Civil Rights Movement. Though he was involved in these movements, his skin colour didn’t forcibly place in him opposition to the establishment; he didn’t have to live as a second-class citizen. Yes, he is Jewish; and yes, he had a modest childhood. I don’t deny that he is talented and self-made. Yet his skin colour and gender never denied him access to a platform and an audience, and never made him automatically unpalatable to the narrow-minded social institutions and establishments which guarded the gates of mainstream culture. Rock and roll has always been dominated by men (not unlike literature – maybe the prize is fitting after all), and as white men dictated what quality was back when Bob Dylan first emerged in the 1960s, there are certain career doors which would have opened for him, while remaining closed for others. Of course, this is no real fault of Dylan’s own, and to recognise his privilege does not mean dismissing his hard work and talent. 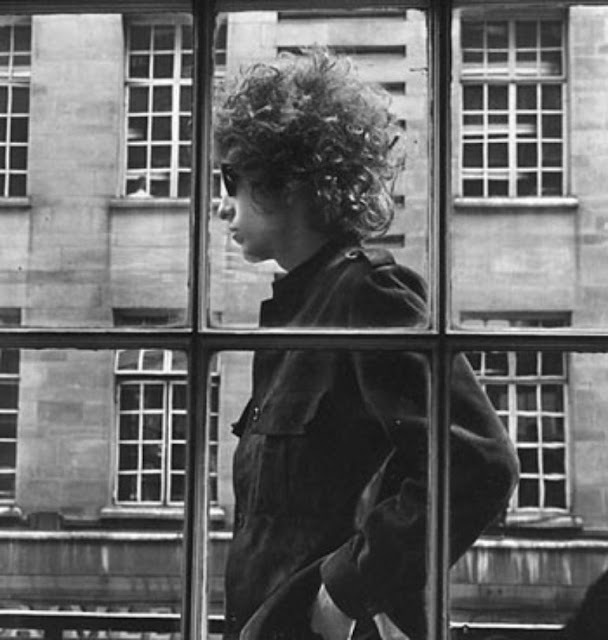 Nevertheless, we have to acknowledge that if there are few other musicians who measure up to Dylan in the way of career length, prolificacy, and reputation, this is at least partially due to factors which enabled Dylan to have a long career and to be recognised for his achievements. Would an African-American singer have found such popularity via the music industry back in the 1960s? Would a non-English-speaking talent have been appreciated so widely by international audiences? Would people still want to place Dylan in a spotlight in 2016 and fawn over him if he were a 75-year-old woman? Many arguments have already been made for other songwriters who might have been put forward in Dylan’s place: Leonard Cohen, Aretha Franklin, Joan Baez, Joni Mitchell… There are undoubtedly accomplished political and poetic songwriters from other cultures who might also have been eligible, and who remain obscure in the Anglosphere. One could argue that if the Nobel Prize committee was ever going to break convention by awarding their literature prize to a songwriter, however, it was always going to be Bob Dylan. No other songwriter enjoys such high-brow acknowledgement of his lyrics – academics have long debated whether they are poetry – and few have had equally lengthy and successful careers. By contrast, there was never any question of the committee choosing a man whose crooning is known by my generation primarily due to Hallelujah featuring in Shrek. Nevertheless, this doesn’t change the fact that Dylan’s win consequently appears increasingly troublesome. The Nobel Prize committee isn’t responsible for the social parameters which uphold privilege, but they do possess the ability to draw attention to individuals of value, and to recognise achievements which might have been overlooked. In this sense, the prize’s influence also helps dictate what can be perceived as valuable. By further deifying Bob Dylan, the committee did nothing to advance the career of other, less well-known, less wealthy artists by recognising them on an international scale. It also enshrined 2016 as yet another year in which women won zero Nobel Prizes. …And we wonder why girls have difficulty envisaging futures where the tops of ladders can actually be reached. #BobDylan #NobelPrize @TheStellaPrize @WomenWriters #binders"
In defence of the Nobel committee’s decision – or alternatively, in condemnation of their artistic integrity – however, their choice of Bob Dylan may also have been in part a political statement. The U.S. election is mere weeks away, Trump is in the running, and Sweden is one of the most progressive countries in the world. As pointed out by author Margaret Atwood, were there ever a time to draw attention to “a U.S. countercultural figure from the sixties […] not in support of mob rule”, it is now. As a person with a womb who dislikes walls, logical fallacies, and toupees, I support such political motivations. Yet while one can argue that all art is political, the Nobel Prize in Literature is supposedly concerned first and foremost with recognising art, not political standpoints; therefore, Dylan’s win can still be examined critically. The issue remains that his win is viewed as more ground-breaking than it actually is, and all the while perpetuates certain forms of literary exclusionism. If the Nobel committee really wishes to diversify the ‘Literature’ category’s scope and do something edgy, then perhaps they should break down barriers closer to home before expanding into the songwriters’ pool. When will they overcome their antiquated genre snobbery, and recognise genre writers? How about Margaret Atwood, or Ursula LeGuin? Both have contributed enormously to literature, redefined the genres in which they work, and explored everything from philosophical issues to questions of humans rights (go and look up The Handmaid’s Tale and The Ones Who Walk Away From Omelas if you don’t believe me). Furthermore, in Le Guin’s own words, as a writer known for her sci-fi and fantasy work, “people are always trying to push me off the literary scene”. Perhaps the Nobel Committee should strive not to be part of that crowd. And if Atwood and Le Guin aren’t quite right for the prize, then what about some newer talent? How about Liu Cixin, a Chinese sci-fi sensation? Or Jennifer Egan, whose books are so modern that reading them is like finding yourself in 2035? I was listening to one of Bob Dylan’s albums – sorry, poetry collections – in the car this morning. It was excellent. I enjoyed it. And in what concerns Dylan, it’s worth noting that he never asked the establishment to shower him with prizes. Yet when I consider that he isn’t even replying to the Nobel Prize committee’s phone calls, I can’t help but wonder whether another author might have gotten more out of this accolade. And I wonder whether Dylan’s thinking it, too.